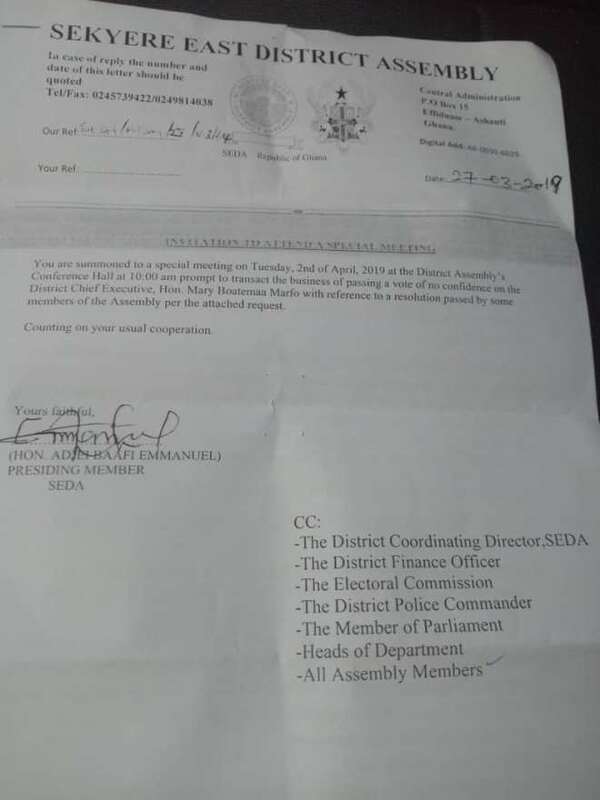 All is not well in the Sekyere East District Assembly of the Ashanti region where it appears the District Chief Executive of the area, Hon. Mary Boatemaa Marfo, is facing strong opposition from her Assembly Members. The Assembly Members have resolved to kick out the DCE through a massive campaign of 'VOTE OF NO CONFIDENCE'. The Assembly Members, numbering about 16 simply want their DCE removed from office over glaring incompetence and corruption. 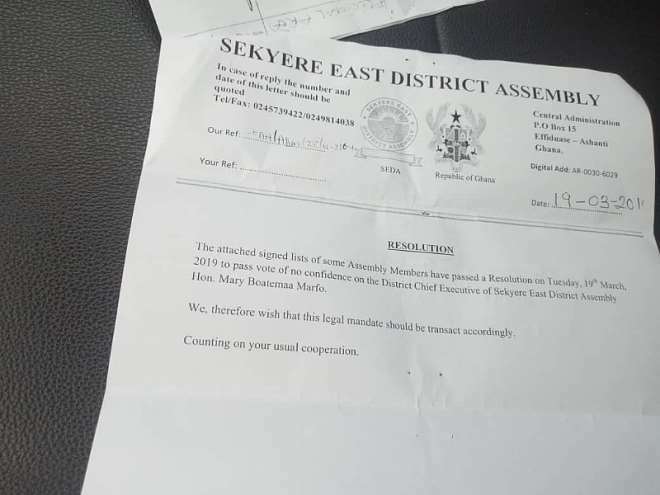 Pursuant to part 2(two) section 4(Four)B of the model standing orders of the District Assemblies act, we write to request for a meeting to carry out the business of passing vote of no confidence in the District Chief Executive for Sekyere East District, Hon. 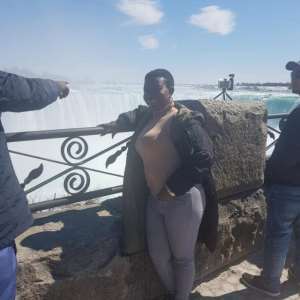 Mary Boatemaa Marfo. 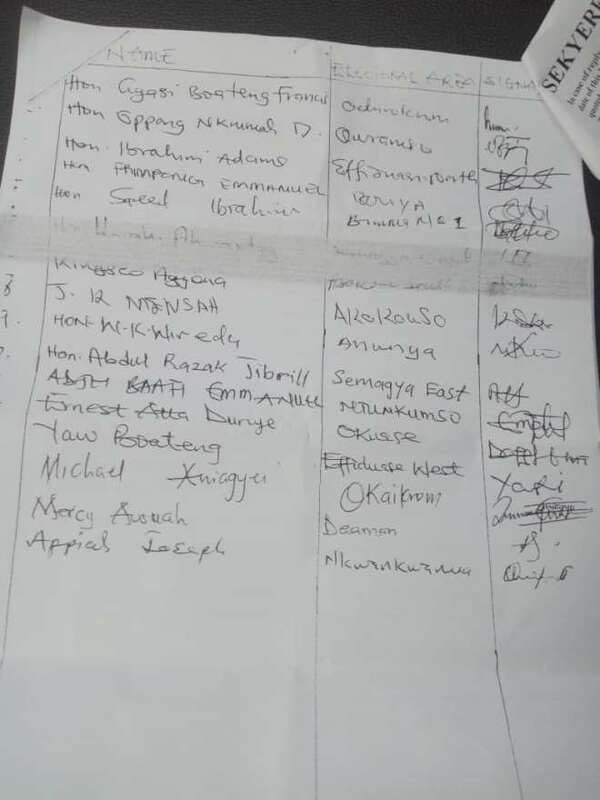 The Assembly Members of Sekyere East District Assembly as per the attached list have passed the resolution to pass vote of no confidence in the DCE in pursuant to the Local Government Act 936(Act 2016) and 1992 constitution of the Republic of Ghana Article 243,section 3(a) " The District Chief executive may be removed from office at any time by a vote of no confidence, supported by the votes of not less than two-thirds of all the members of the District is passed against him/her"
3. PWD common fund disbursement: the DCE unilateral bought items and distributed to PWD without following the recommendations from the appropriate committees of the Assembly and Necessary procurement procedure. 5. Inflation Of Contract Sum. 6.The DCE has failed to implement Government flagship programmes. 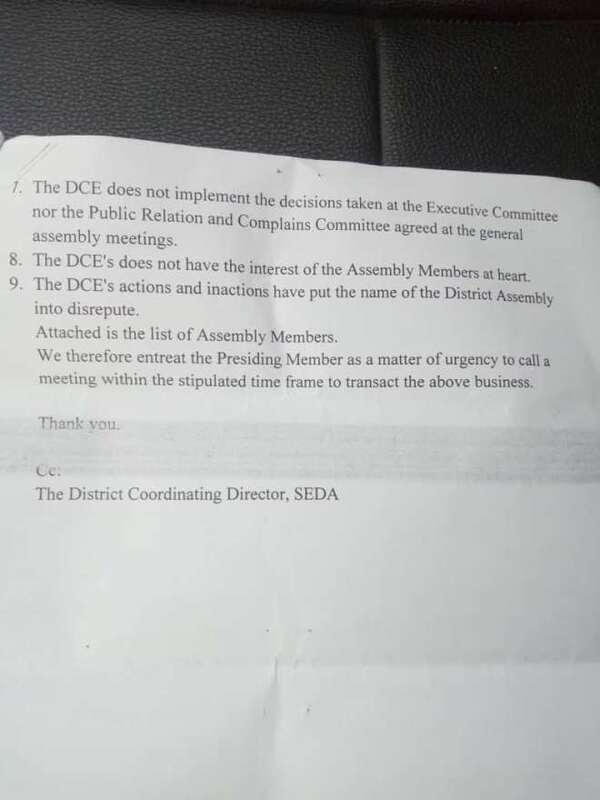 7.The DCE does not implement the decision taken at the Executive Committee nor the Public Relations and Complains Committee agreed at the general assembly meetings. 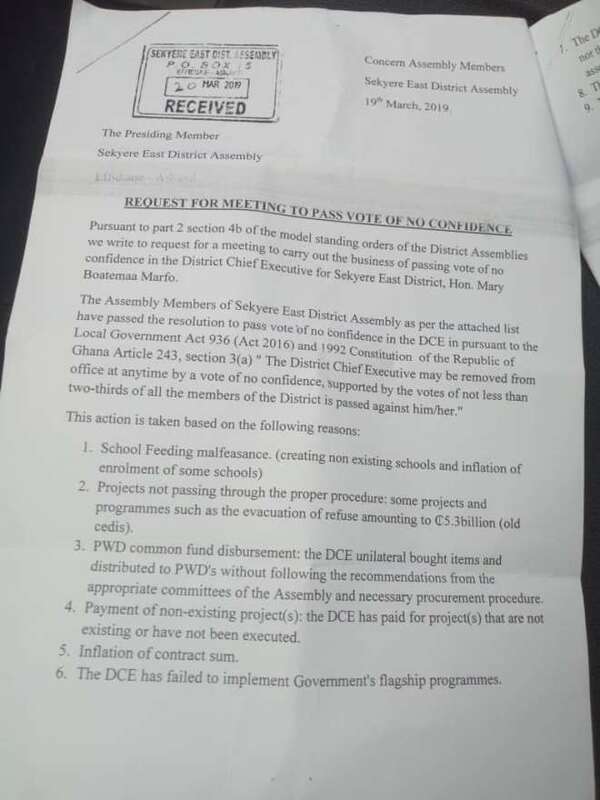 8.The DCE's does not have the interest of the Assembly Members at heart. 9. The DCE's actions and inaction have put the name of the District Assembly into disrepute. Attached is the list of Assembly Members. We therefore entreat the Presiding Member as a matter of urgency to call a meeting within the stipulated time frame to transact the above business.